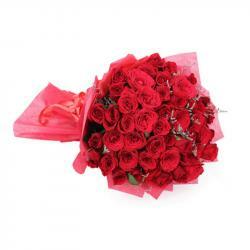 Product Consist : Bunch of 40 Red Roses. You will cherish this lovely Rose on special occasions of Love Day.This Bouquet is a good bet when it comes to surprising near and dear ones on special occasions like Valentines Day. 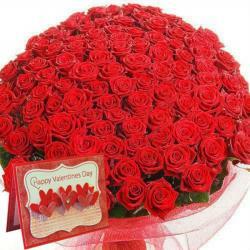 Send Special gifts to your love ones in India then this beautiful Bunch of 40 Red Roses. Express your feelings with these Vibrant Roses. 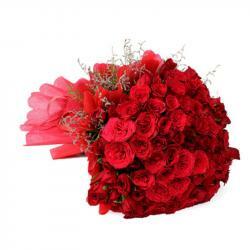 Your love one sure feel special and thrilling romance when they received this love bouquet. So go head and buy it now. 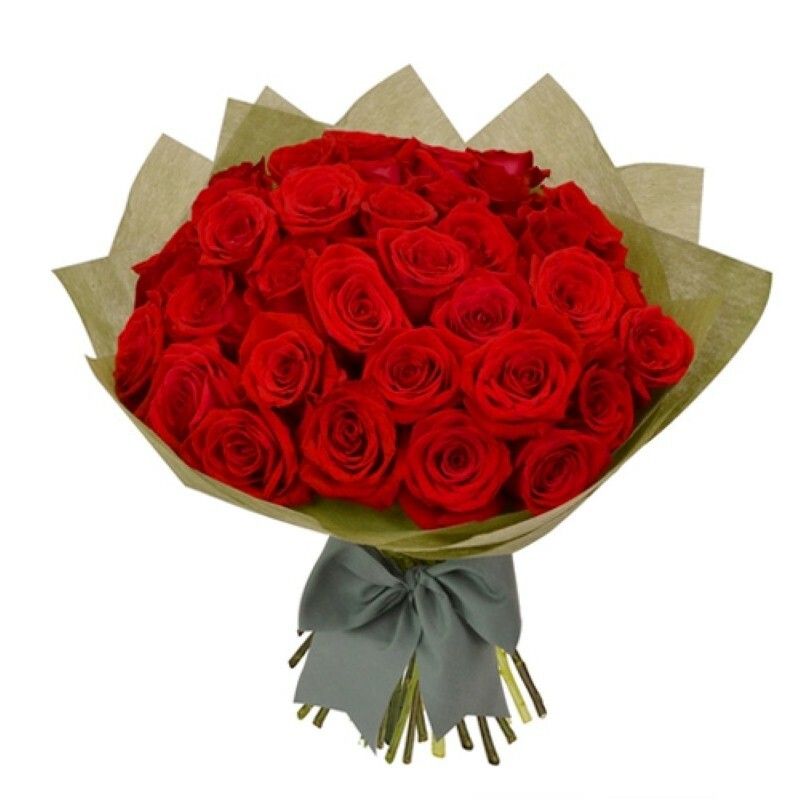 Product Includes : Fresh Forty Red Roses in Hand tied bunch.